So, just how many of your teachers from grade school can you name? I was struck by a story shared by Dean Shareski on Opening Day about The Amazing Miss A and Why We Should Care About Her. The study comes from McGill Faculty of Education, Professor Eigil Pedersen. The study initially looked at how students who had Miss A for grade 1 showed an increase in IQ scores between grades 3 and 6 while those in other classes were stable. There was nothing unique about Miss A’s class but something was going on. Students were again studied years later and given an “adult status” score including factors such as the highest grade of high school completed, the type of housing they occupied, their personal appearance and their occupational status. And again it was those in Miss A’s class that stood out. And what else was true, every single pupil of Miss A’s could remember her as their grade 1 teacher. So what was it about the magical Miss A? The entire story is worth reading and a good reminder that we need to be careful to buy into simple explanations of socio-economic conditions as being the sole determiner of students’ success. It also is an excellent reminder of what are truly the characteristics of a great teacher. It is an interesting exercise. I have strong memories of almost all the teachers I remember and they are almost exclusively not about what I learned, but how their class made me feel. 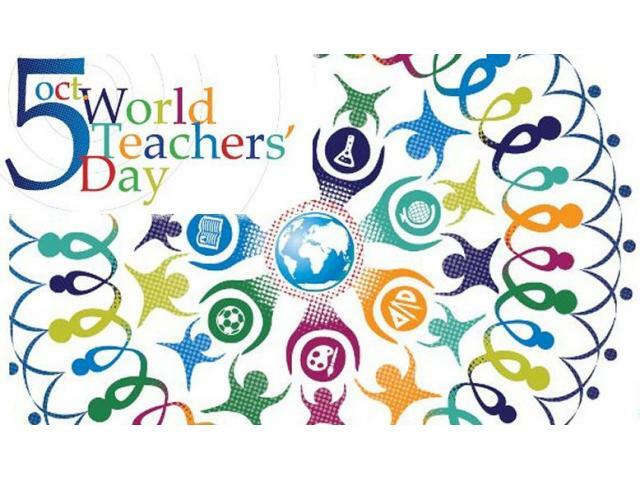 To all my teachers, and those in the profession past and present – Happy World Teachers’ Day. I too have thought about this since Dean’s talk. I can remember all of my teachers from elementary, but high school becomes a bit more difficult for me. As a teacher, I think back often about my teachers and school experiences growing up and it certainly shapes the way I now teach. Thanks for sharing this Chris! You have brightened my years as an immigrant. Wish you all the best of health and happiness. Hello Chris. What a great article!!! I still remember my school days in South Korea, I inspired my Gr.7 English teacher so much,so I studeied very hard. (Her name was Mrs.Lee), I really liked my Gr.8 English teacher(Mr.Kim, a young handsome gentleman),so I studied a lot, I started to like my Gr.10 Earth science teacher(Mr.Kim),so I studeied hard even though my mark was so bad…My Gr.11 French teacher(Mrs.Cho)was so kind,so I loved to study French. Since 2006 we moved to West Vancouver, we respect,we thank to all of our fantastic staff members from SD.45, for their timeless,endless caring and support to our kids. Thank you very much.